He is my friend, a Servant yet a King. 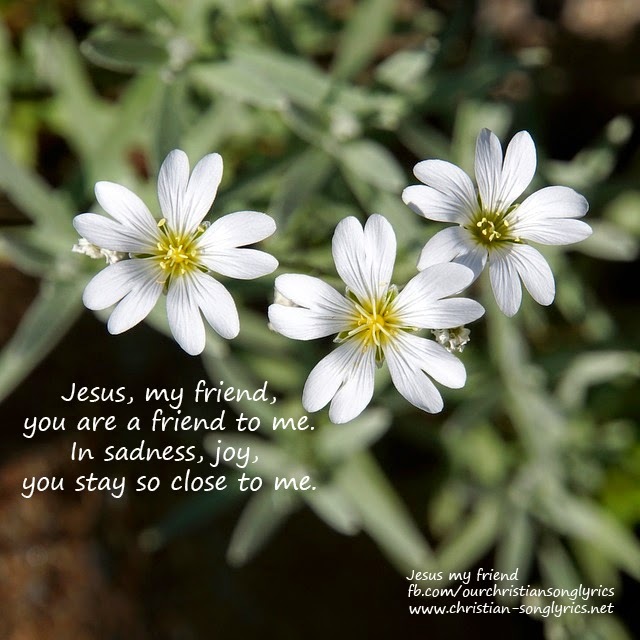 Jesus, my friend, you are a friend to me. In sadness, joy, you stay so close to me. And now I know you more. Jesus, my Lord, my God, my friend.